The School’s GymFun initiative is a Student Employability Programme that has been developed in partnership with Club GymFun and British Gymnastics NI. 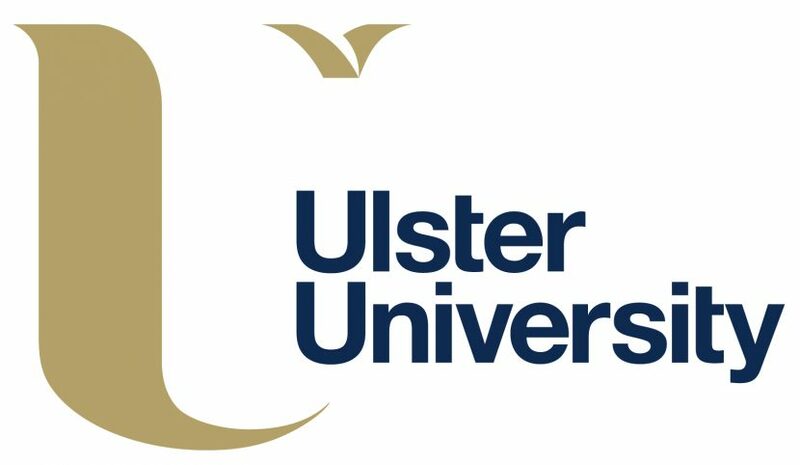 The programme provides quality training, work based learning and formal British Gymnastics Coaching qualifications for Ulster students. Participants benefit from paid and voluntary employment opportunities. 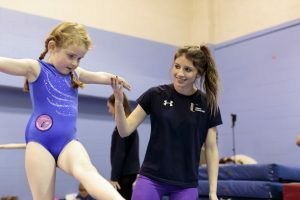 The GymFun programme helps Ulster students get involved, develop new coaching and leadership skills and help others learn, in the sport of gymnastics. Participation is accredited by the UUSU 's (Ulster University Student Union) Ulster Edge Award. Student coaches who partake in the programme benefit from being able to add value to their degree qualifications as well as their broader university experience. 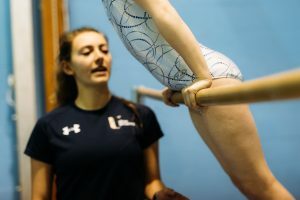 GymFun/Ulster has become an important recruiting ground for gymnastics coaches and as a result students and alumni are now working in gymnastics clubs throughout the province. 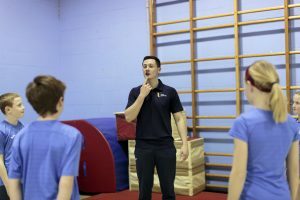 Some students have gone on to become British Gymnastics coach educators, assessors and high performance coaches. Budding entrepreneurs have established their own clubs, pre-school programmes or opened full-time facilities. Many more have gone on to become teachers in primary and post primary settings are teaching gymnastics as part of the PE curriculum. To hear more about the role GymFun has had in helping to shape the careers of some Ulster School of Sport alumni read about Sara-Jayne, Kelly, Stephen, Charlotte.